 Radiographers Face Ever-Tightening Job Market - ONRAD, Inc.
DiagnosticImaging | Radiography job vacancy rates have fallen for the eighth year in a row, and now stand at just 2 percent, according to a new American Society for Radiologic Technologists survey. The vacancy rate represents the number of positions that are open and actively being recruited. While the radiographer vacancy rate this year was on a par with the 2.1 percent rate reported in the 2010 ASRT survey, the rate has steadily dropped from 10.3 percent as reported in ASRT’s first staffing survey in 2003. • Computed tomography technologists, from 8.5 percent to 2 percent. • Magnetic resonance technologists, from 9 percent to 2.5 percent. • Mammographers, from 7.2 percent to 1.7 percent. • Nuclear medicine technologists, from 10.9 percent to 1.4 percent. • Cardiovascular-interventional technologists, from 14.6 percent to 3.5 percent. • Sonographers, from 11.7 percent to 3.4 percent. In addition to the dip in vacancy rates for radiographers, the 2011 survey shows that the average number of full-time radiographers per medical imaging facility fell 12.2 percent — from 10.6 in 2010 to 9.3 in 2011. On the bright side, the average number of full-time CT technologists per facility rose from five in 2010 to 5.6 in 2011. The number of full-time technologists working in magnetic resonance, mammography, nuclear medicine and sonography also rose slightly per facility from 2010 to 2011.